Help your guests respond in style. 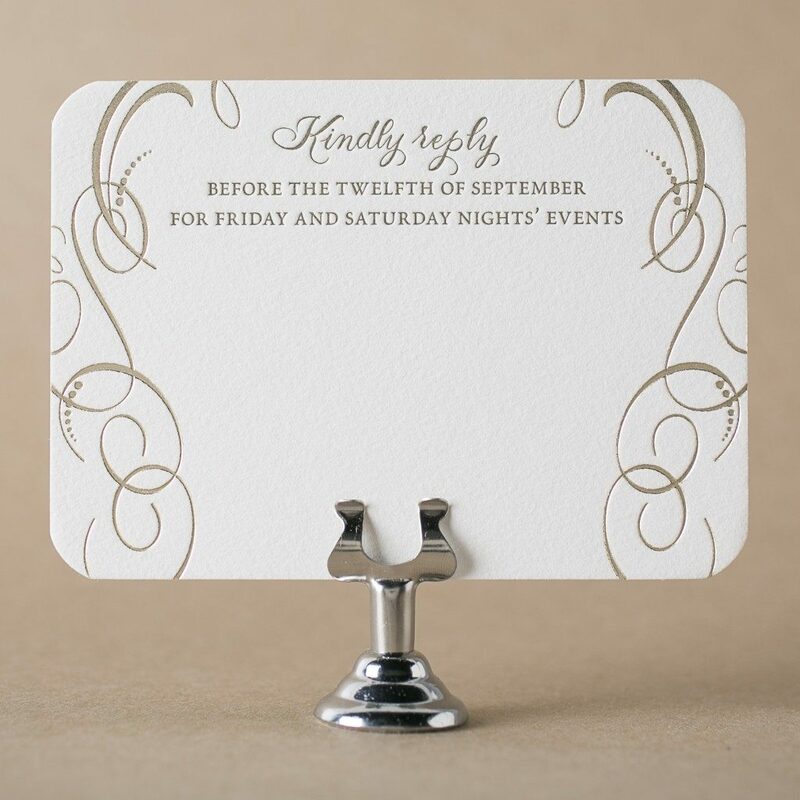 Send a response card that has a corresponding stamped envelope, or save on postage and point guests to reply online at your wedding website. WHY include a response card? 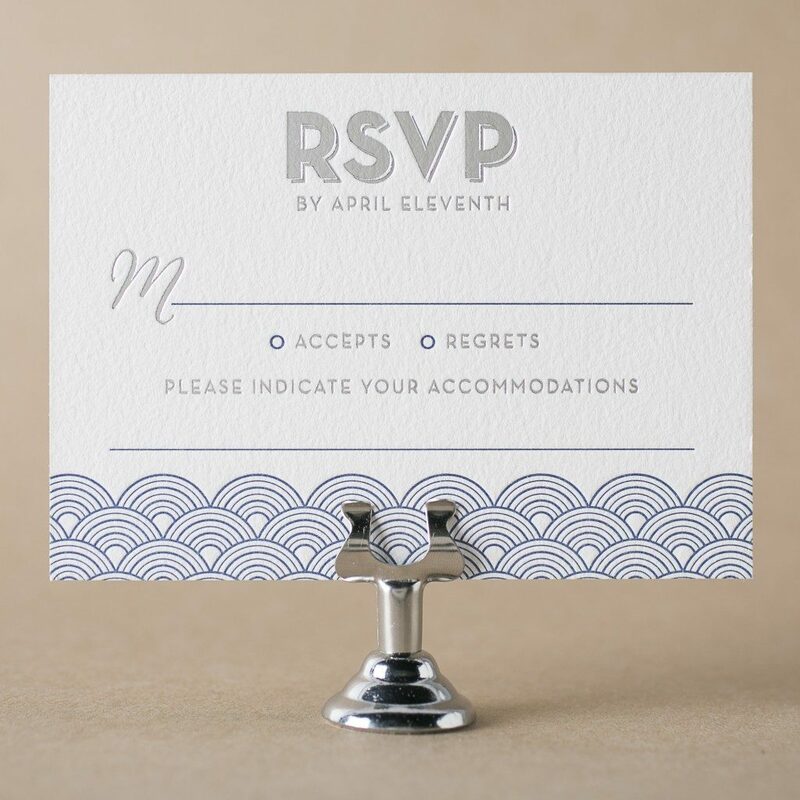 Response cards can be enclosed with your wedding invitations and will help you determine an accurate guest count for the reception. Printed in the same style as your invitation, your reply card can be as simple or complex as your event requires. 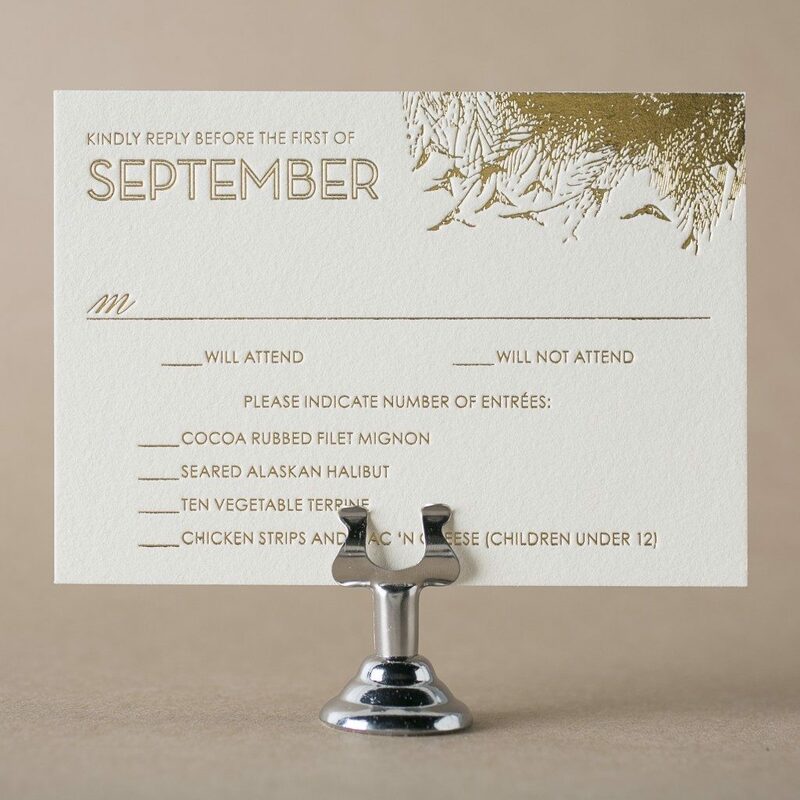 Some reply cards simply ask guests to reply by a certain date, while others may request a meal choice or dietary restrictions, and others might include multiple wedding weekend events. 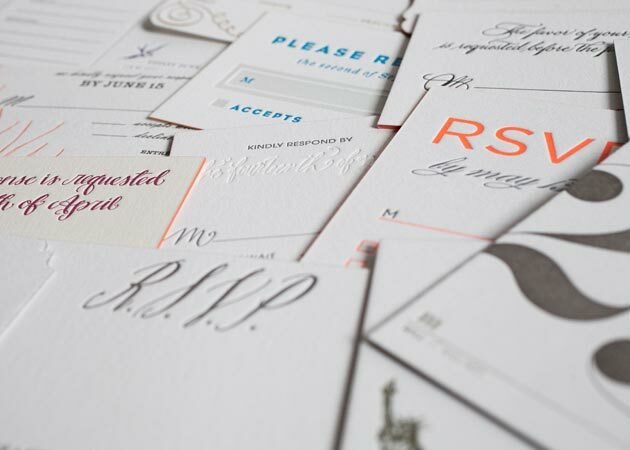 Make it easy for your guests to respond by including a printed, stamped envelope. 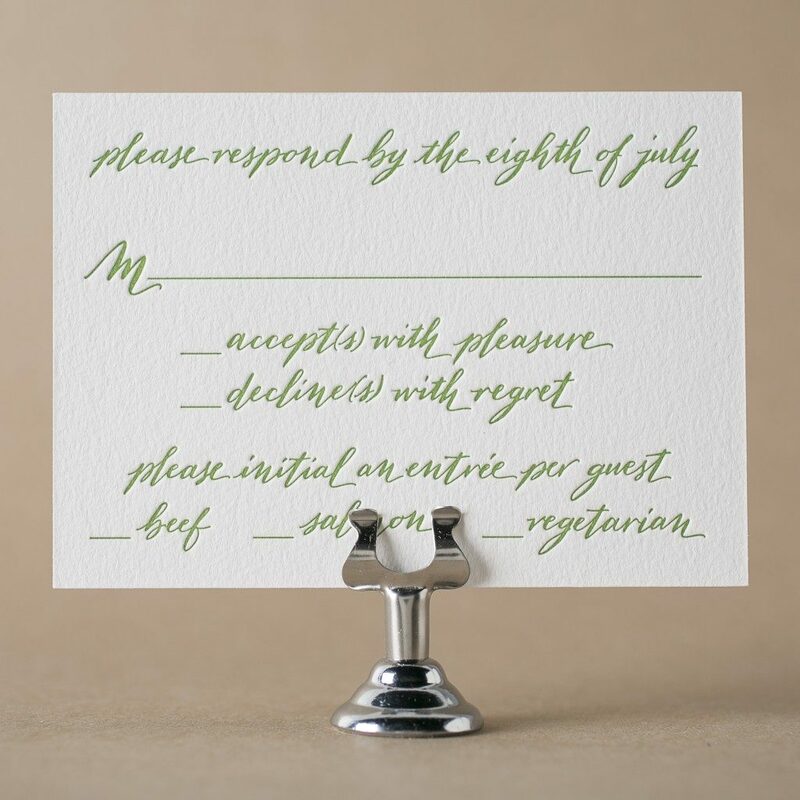 Be sure to give your guests sufficient time to reply to your wedding, leaving enough time for you to reach out again if you haven’t heard from them by your requested reply date. 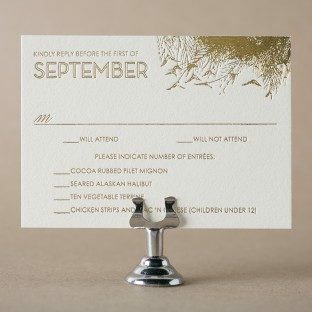 Your reply date should typically be two to three weeks prior to your wedding unless your caterer or venue needs a headcount sooner than that. 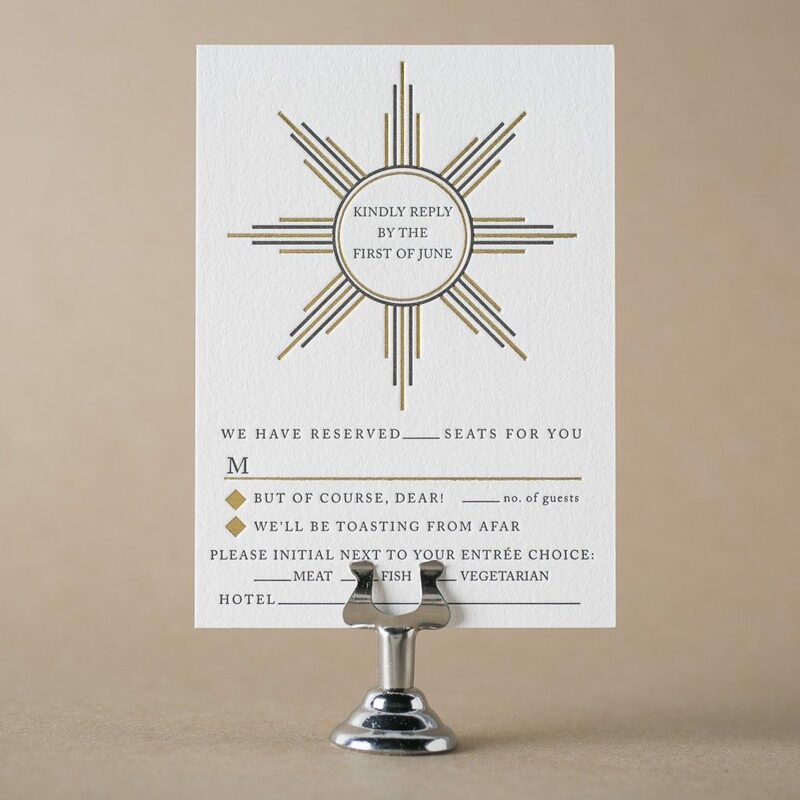 While less traditional than the response card and envelope combination, a card directing guests to reply via email, phone or website can save time – particularly if you are asking guests to reply in less than the typical response time. You can omit the “M” and just use a simple line, or you can leave the card blank in the hopes of receiving a personal message from your guests. 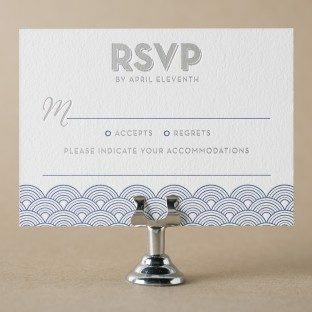 Just for your own peace of mind: guests with titles that do not start with “M” can still work with a reply card that features an M line. It’s perfectly appropriate etiquette-wise for them to simply draw a slash through the “M” and write out “Doctor” or whatever their title might be. 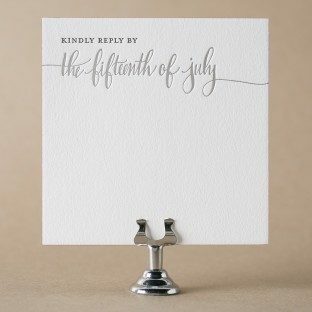 These reply cards contain only a single line of text asking for a reply by a given date. 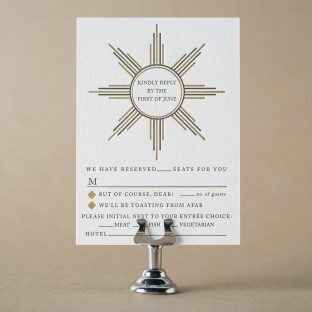 Your guests are expected to write a response and indicate whether or not they will be attending your wedding, but are not selecting any menu choices or rsvping to any other events. This format is very traditional but may confuse guests that have not seen it before, and you may not gather all of the information you need. 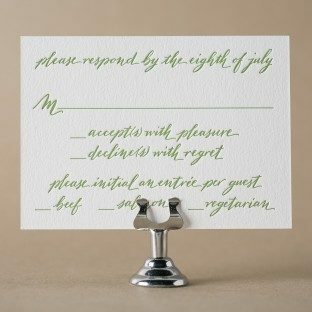 You know your guests best, so chose your response card language accordingly. ___ can’t wait to see you! We are __________(adjective) to hear about your upcoming nuptials! __ can’t wait to see you! How should I establish my reply by date? What is traditional? 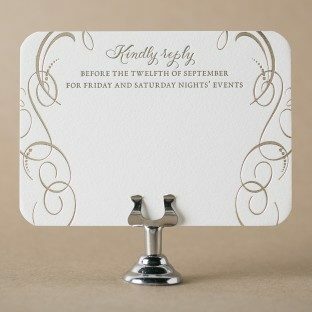 Typically the reply date is 2-4 weeks prior to the wedding, but this may vary depending on your caterers and venue. 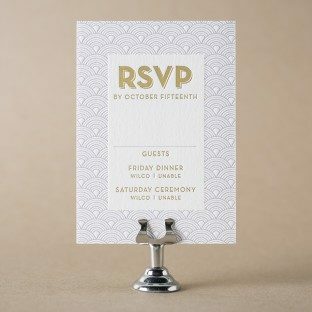 Check with your caterers/venue just to make sure!